This week’s Stade Saturday will hopefully bring a bit of African heat to our decidedly autumnal scene, as Kasai Masai take over the Stade Open Space. 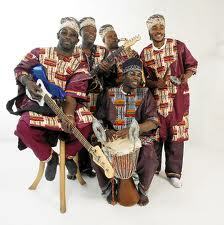 A 5 piece outfit consisting of djembe, guitar, saxophone, bass and drums. The band plays ancestral music passed on from generation to generation and is rooted in the healing power of percussion and chanting combined with the majestic sound of the Congolese folk guitar. 7.30pm, Stade Open Space, admission free. eat @ the Stade will be open for refreshments and more!